This ice cream smiles Friday photo was taken this summer in Stillwater, MN, at the North Star Bicycle Festival’s pro race or Grand Prix. 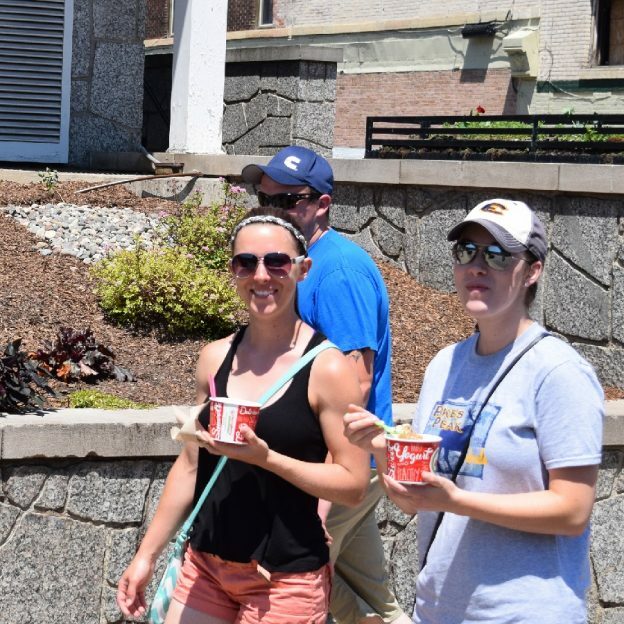 Here in this picture we found these racing fans enjoying some cool treats while watching the high adrenaline racers maneuver the undulating road course. See many more bike friendly places to enjoy ice cream and explore in the new Minnesota Bike/Hike Guide. This entry was posted in News, Picture of the Day and tagged #nextbikeadventure, #visitstillwater #northstarbicyclefestival #onlyinMN, A Minnesota Bike Event, bike Stillwater, Browns creek trail, Minnesota bike race, North Star Bicycle Festival on August 26, 2016 by Russ Lowthian. Bike Pic May 15, miles of smiles Sunday! A sunny but cool spring afternoon, these two bike riders wearing Erik’s jerseys are enjoy the 2015 MN Ironman Bike Ride on the Gateway Trail near Stillwater, MN. 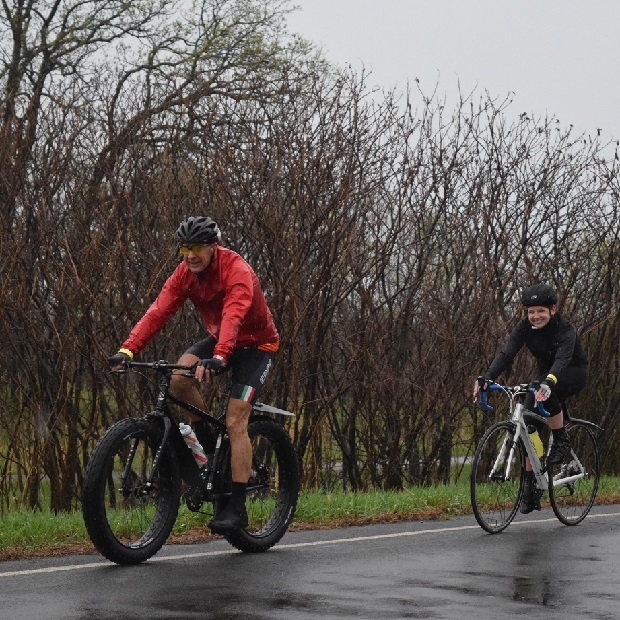 This entry was posted in News and tagged #FindYourNextAdventure, #onlyinMN, bike Stillwater, Discover Stillwater, Erik's Bike, Gateway trail, Minnesota Ironman Bike Ride, Spring bike event on May 15, 2016 by Russ Lowthian. With cooler weather this weekend here are a few more MN Ironman Bike Ride super heroes riding the 50th anniversary event, April 24th, near Stillwater, MN. This entry was posted in News and tagged #FindYourNextAdventure, #onlyinMN, bike Stillwater, Discover Stillwater, Gateway trail, Minnesota Ironman Bike Ride, Spring bike event on May 14, 2016 by Russ Lowthian. 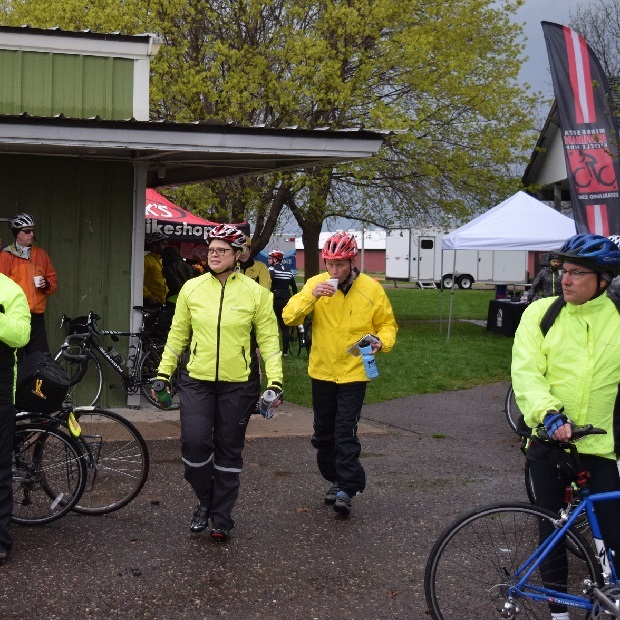 With another wave of rain in the forecast today, many bike riders at the Minnesota Ironman Bicycle Ride, a couple weeks ago, enjoy a cup of coffee furnished by Peace Coffee. This picture was shot during the 50th anniversary event on April 24th, in the scenic St Croix River Valley near Stillwater, MN. 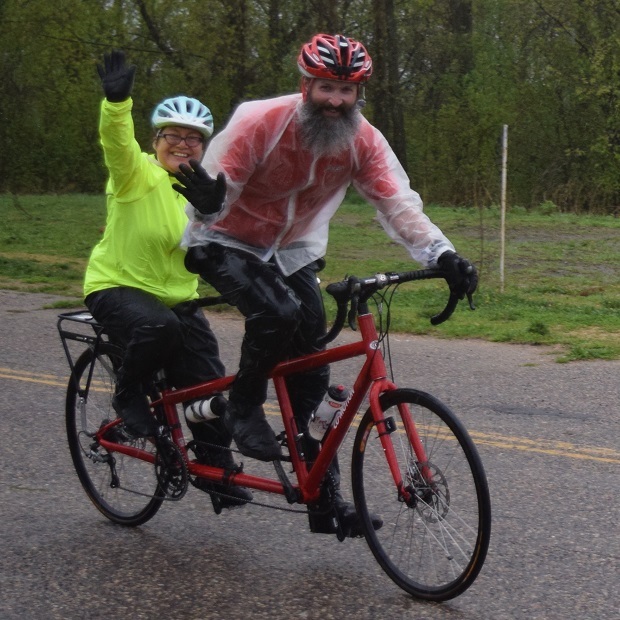 This entry was posted in News and tagged #FindYourNextAdventure, #onlyinMN, bike Stillwater, Discover Stillwater, Gateway trail, Minnesota Ironman Bike Ride, Peace Coffee, Spring bike event on May 11, 2016 by Russ Lowthian. With a second wave of rain in the forecast today, here is another picture of some of the 3,000 Minnesota Ironman Bike Riders who rode in the rain. Picture was taken during the 50th anniversary event, on April 24th, in the scenic St Croix River Valley near Stillwater. This entry was posted in News and tagged #FindYourNextAdventure, #onlyinMN, bike Stillwater, Discover Stillwater, Gateway trail, Minnesota Ironman Bike Ride, Spring bike event on May 10, 2016 by Russ Lowthian. 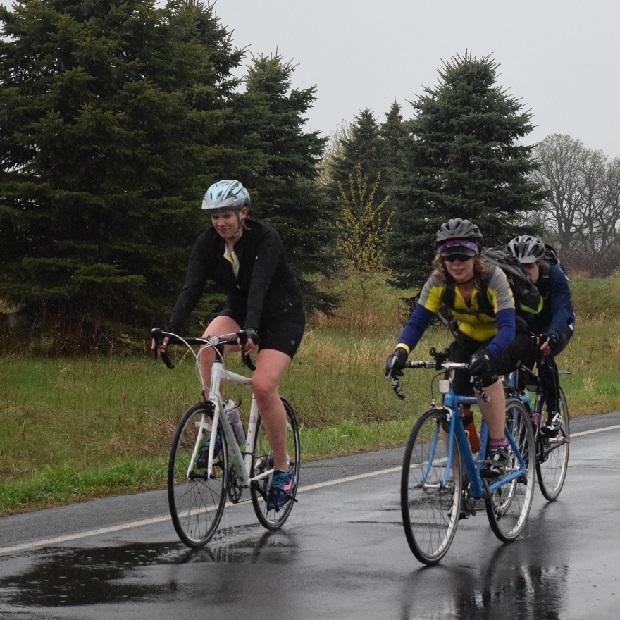 With rain in the forecast, here is another picture of Minnesota Ironman Bike Riders, riding in the rain during the 50th anniversary event on April 24th, in the scenic St Croix River Valley near Stillwater. This entry was posted in News and tagged #FindYourNextAdventure, #onlyinMN, bike Stillwater, Discover Stillwater, Gateway trail, Minnesota Ironman Bike Ride, Spring bike event on May 9, 2016 by Russ Lowthian. Having a good time in the rain on the Minnesota Ironman Bike Ride, these two ladies are ready for a summer full of fun and memories. Photo captured during the events 50th anniversary ride in the scenic St Croix River Valley near Stillwater. This entry was posted in News and tagged #FindYourNextAdventure, #onlyinMN, bike Stillwater, Discover Stillwater, Gateway trail, Minnesota Ironman Bike Ride, Spring bike event on May 2, 2016 by Russ Lowthian. 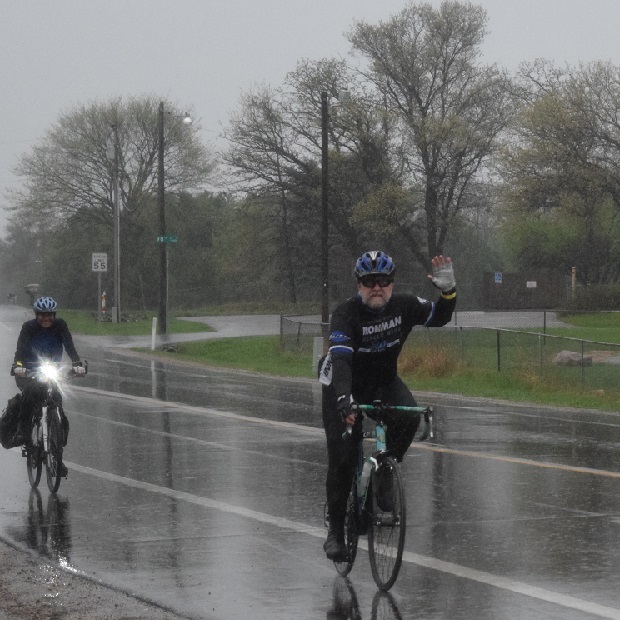 Here are two of many bike riders on the 50th Anniversary Minnesota Ironman, smiling as they pedal in the rain. We tip our HaveFunBiking helmet to the 3,000 Ironman super stars who rode in the wet weather yesterday around the St Croix River Valley, near Stillwater, MN. 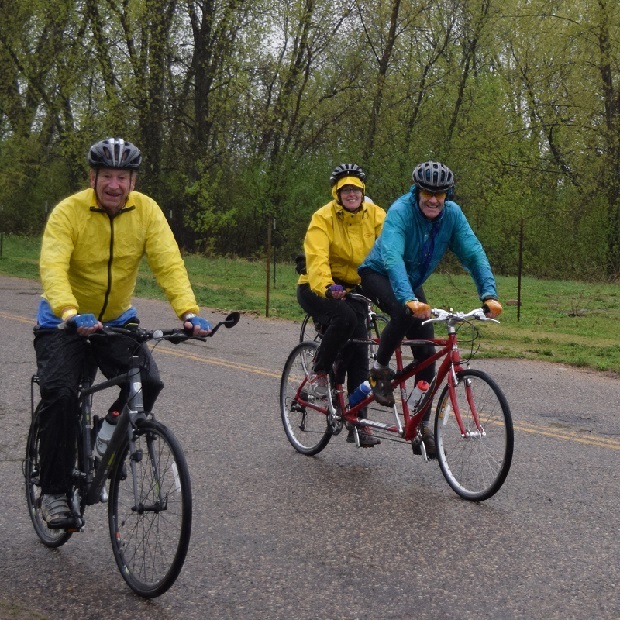 More having fun riding their bikes in the rain on the 50th Anniverasty Minnesota Ironman bike Ride. 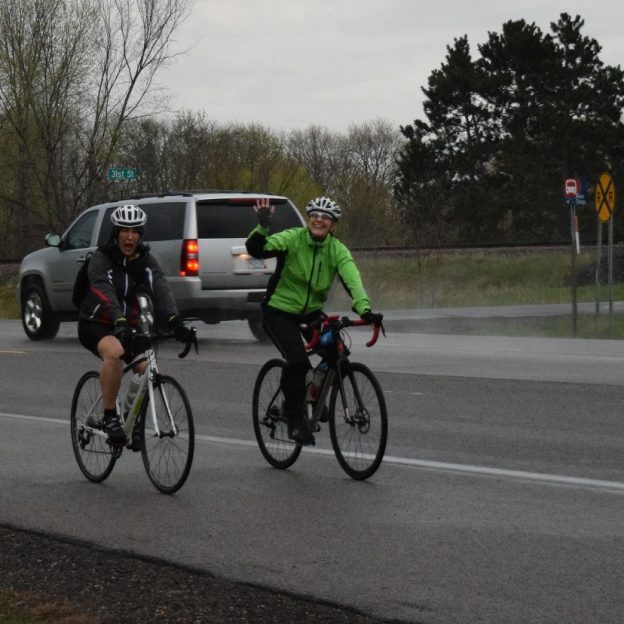 Two of 3,000 bike riders having fun riding in the rain at the 50th MN Ironman Sunday, yesterday. 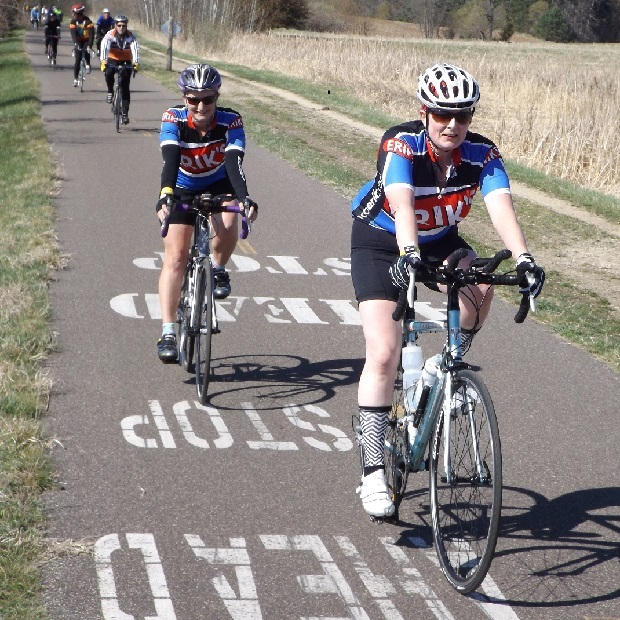 This entry was posted in News and tagged #FindYourNextAdventure, #onlyinMN, bike Stillwater, Discover Stillwater, Gateway trail, Minnesota Ironman Bike Ride, Spring bike event on April 25, 2016 by Russ Lowthian. 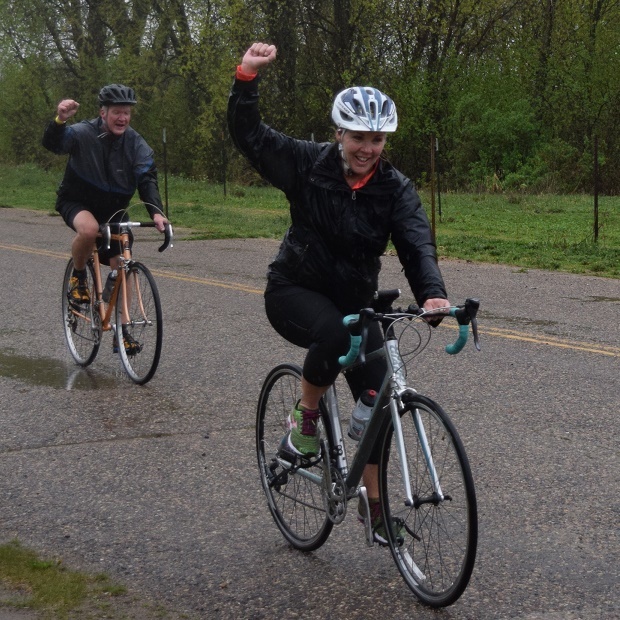 This Ironman bike rider proves that pedaling in the rain isn’t that bad – especially when she is guaranteed bragging rights at the end of the Minnesota Ironman 50th Anniversary Ride, today in Stillwater, MN. This entry was posted in News and tagged #FindYourNextAdventure, #onlyinMN, bike Stillwater, Discover Stillwater, Gateway trail, Minnesota Ironman Bike Ride, Spring bike event on April 24, 2016 by Russ Lowthian. 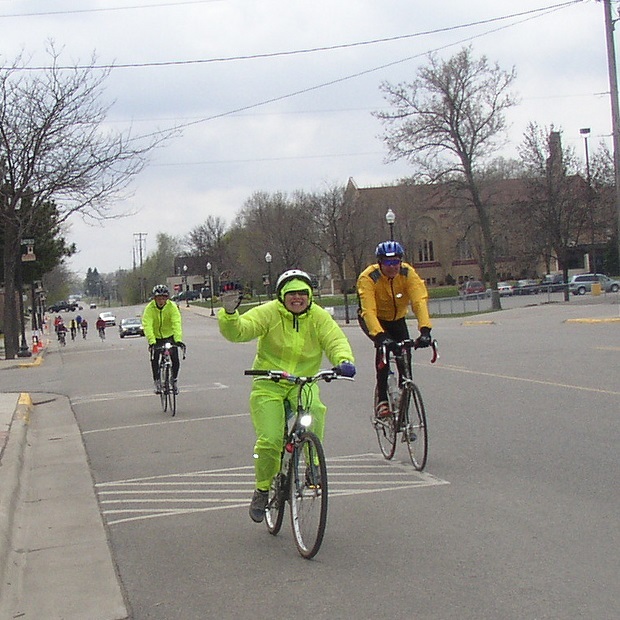 A Minnesota tradition, join the fun Sunday, April 24th, for the Minnesota Ironman Bike Ride in Stillwater MN – No swimming or running required. If you have not registered yet, day of registration is available. See more about this Minnesota tradition on their Information page and take home bragging rights. 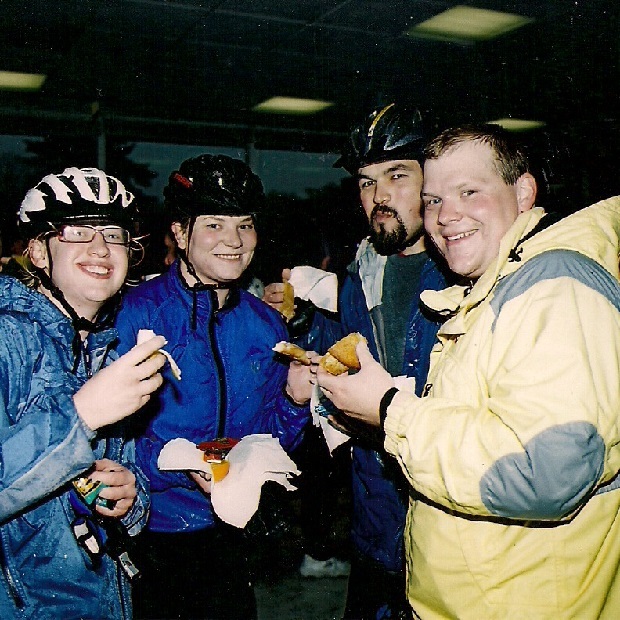 This entry was posted in News and tagged #FindYourNextAdventure, #onlyinMN, bike Stillwater, bike Washington County, Erik’s Bike Sponsor, Gateway trail, Minnesota Ironman Bike Ride, MN Bike Events, Spring bike event on April 22, 2016 by Russ Lowthian.